You are in luck, in the Lansing Michigan area. There are about 20 different parks to choose from. Usually, you only have a couple of available parks. The prices can range anywhere from a $1999.00 handyman special on up to a brand new double wide for about $64,000.00. This is just the prices for a trailer. All parks are different from their fee structures. 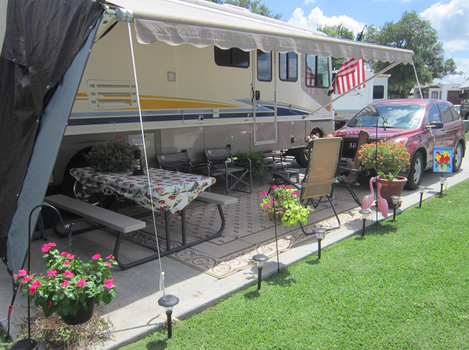 If you are buying a new unit, in their park, some include the lot rent with the purchase price. If you are buying a used trailer outright, you will have to pay the lot rent separate, Lot fees also range from where you choose to live. Playground access or river views are generally higher than lots located away from amenities. How do you get started in finding the perfect home? The first thing you need to do is write a list. What do I really need? What do I want? And finally, what can you live without? This makes the search a little easier. Go online and do a search for trailer parks in lansing michigan. Find a few that have what you want, and find your perfect new home. Good Luck!